You’ve got your dress, your shoes, your jewelry and are ready to go for your big day. 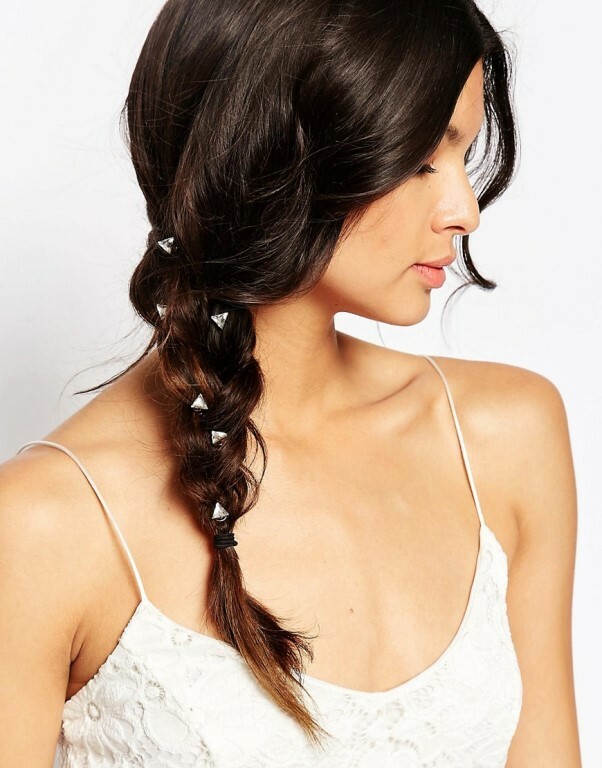 But one thing’s missing and you need it to complete your look: a hair accessory! Be it the case of feathers, blushers, headbands, tiaras or flowers, wedding hair accessories can definitely spice up your look and elevate it from safe to ‘wow’. 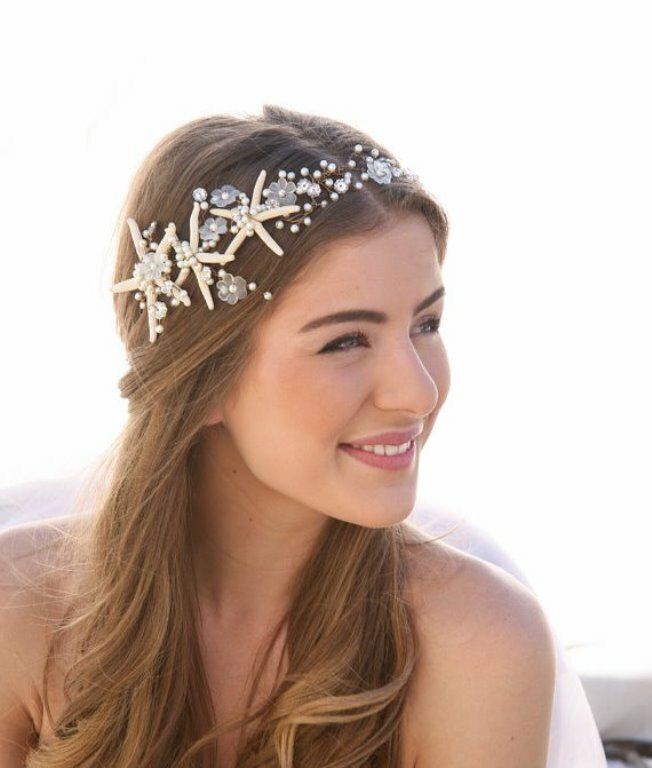 If you’re looking for that perfect hair piece, then check out our selection of classy, quirky, fun and chic accessories that will definitely turn heads on your wedding day. Tiny pearls look lovely against these natural starfish in this dreamy and beachy creation, perfect for a wedding ceremony held barefoot on the sand! If your wedding inspiration comes from nature, wildlife and you love an earthy look, then this stunning piece is for you: a minimalistic wire, perfect as a base for your favorite flowers and leafs. Who said that your bridal gown has to be the most expensive item on your wedding shopping list? 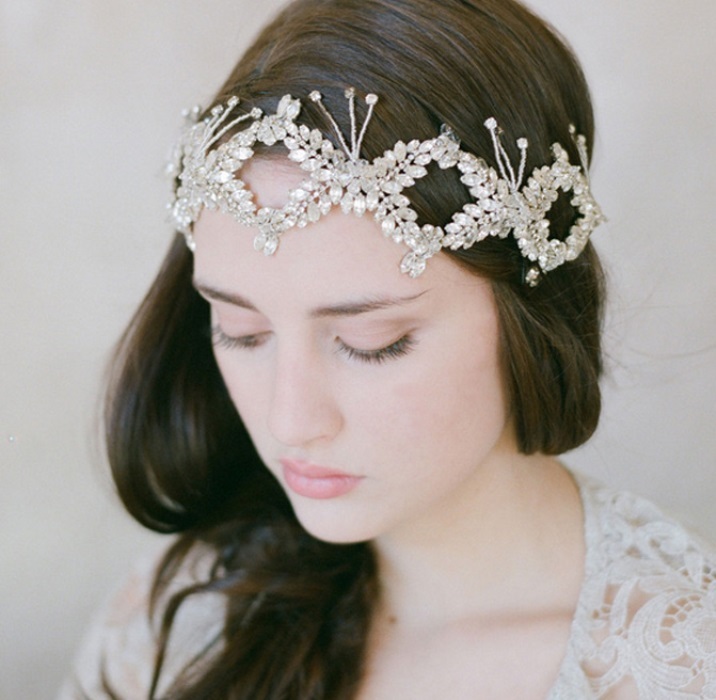 With this couture headpiece that features handmade crochet roses, luxurious ribbons, vintage rhinestones and natural pearls, you will definitely make a style statement. 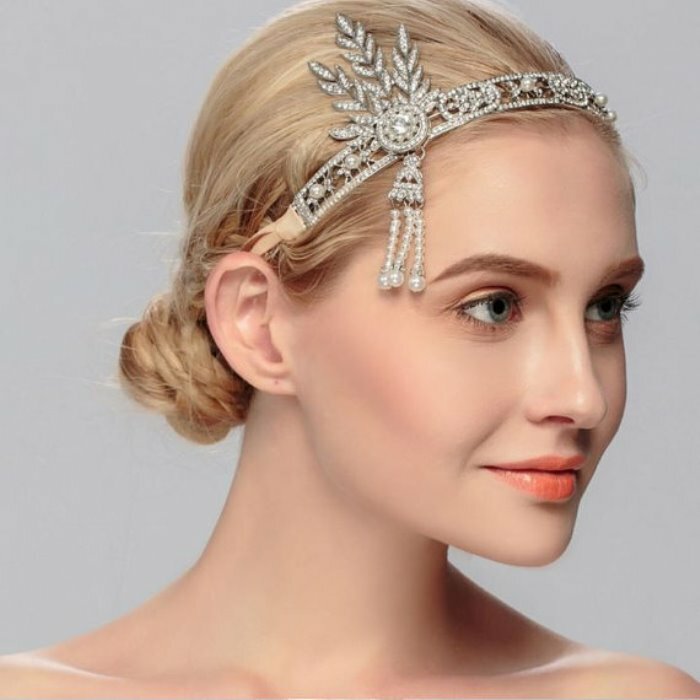 Feathers, retro glam and a lot of attitude – in a sea of wedding hair accessories, this one stands out as it is suitable for a specific wedding theme: the roaring 20s / Great Gatsby. If you are opting for a fishtail braid on your big day and want to somehow bling up your hairdo, then these spiral hair crystals can offer just that dosage of shine and glam. 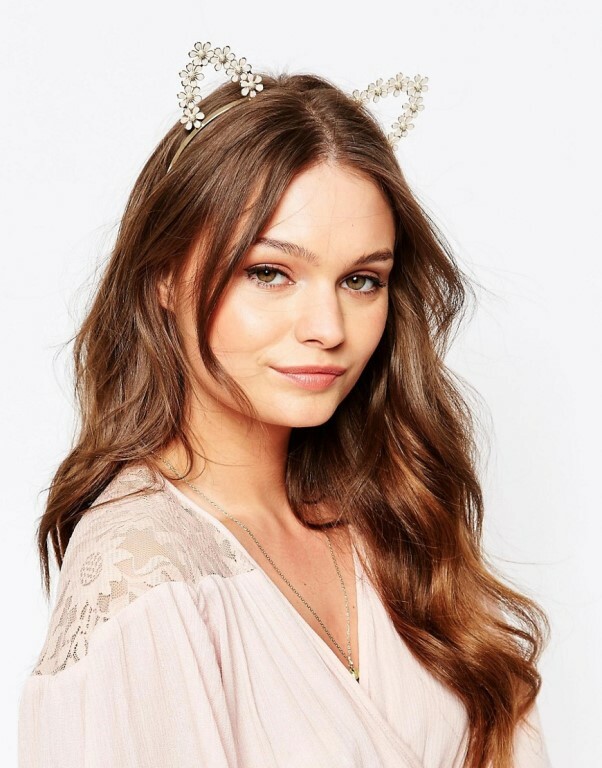 For the quirky bride who’s heading towards a casual wedding affair and says no to all conventional styles – kitty ears is the hair bling you’ve been looking for! What can be cuter and wittier than a sparkly feline hairpiece? If you’re looking for an affordable, yet cute alternative to the expensive hair pieces, then these paper posy hair clips are just right if you’re opting for milkmaid braids as your bridal hairstyle. 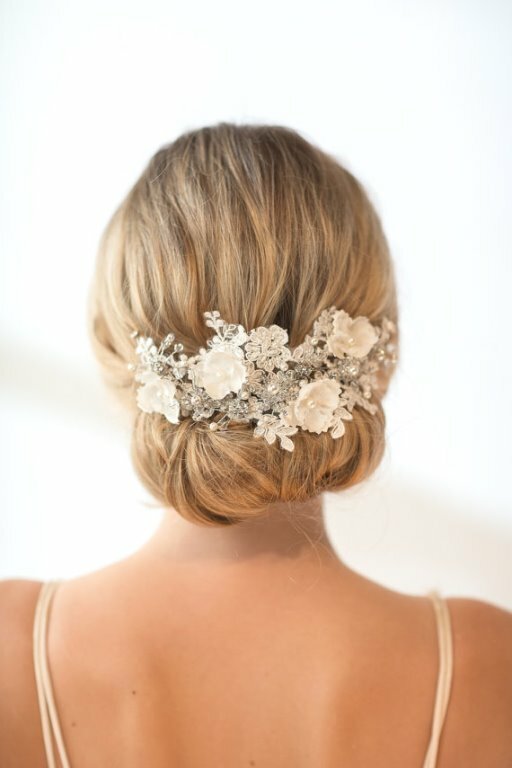 Gypsophila is a popular choice when it comes to wedding flowers that decorate a rustic celebration – so it’s no surprise that this pretty little floral element has made its way into the wedding hair accessories field, too. This piece presents rose quarts and freshwater pearls, delicate and pretty, just like the flower itself. 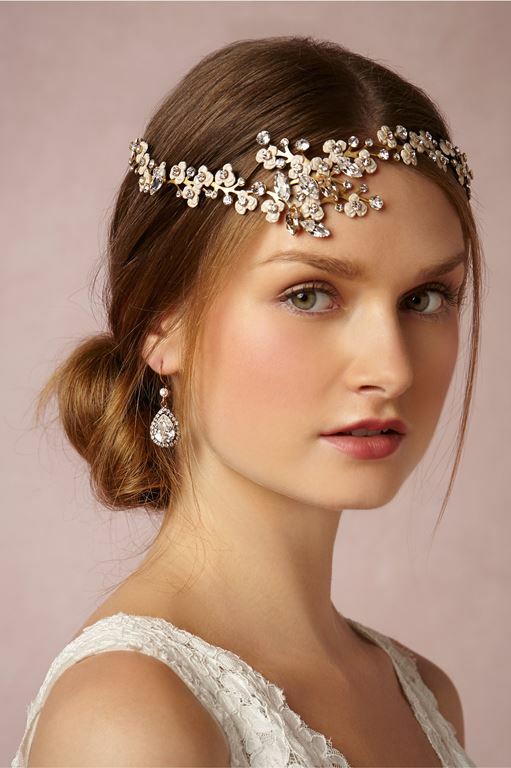 This wide white headband is a very comfortable and easy alternative to rigid hairdos – with a silver finish and tons of tiny sparkly beads, it works well for a modern bride on the go. 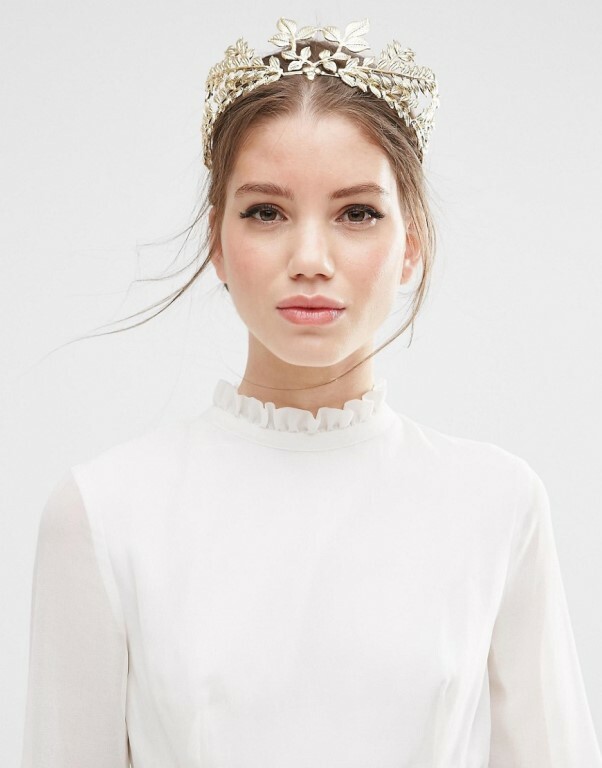 A modern bride’s dream: a bohemian tiara that looks current, chic and effortless, all at the same time. Crafted from Swarovski crystals, this lovely piece offers versatility, as it can be worn in multiple ways. 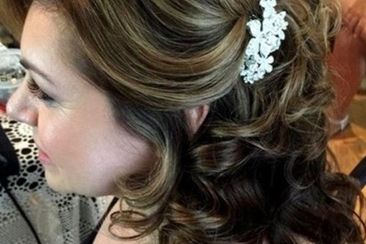 Check out this hard-to-miss hair clip featuring beige and ivory feathers (peacock and goose) with a sparkly rhinestone center! This one is hard to miss – a Grecian leaf crown with a metallic gold finish. 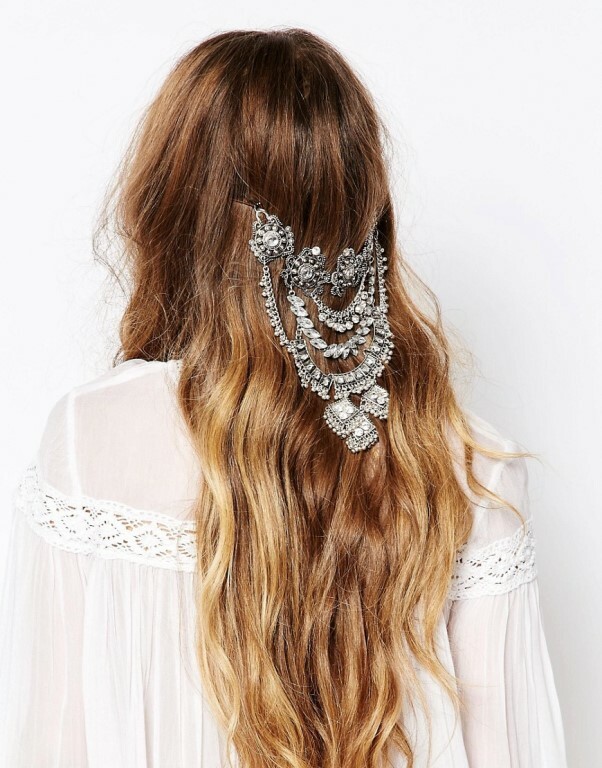 Since it’s not one of those wedding hair accessories that’s too tiny to spot, you should wear this massive creation with confidence and lots of attitude! An asymmetric design meant to enhance your facial features – add to the fact that you can wear it in different ways, and you’ve got yourself a stylish hair piece perfect for a chic ceremony and reception. 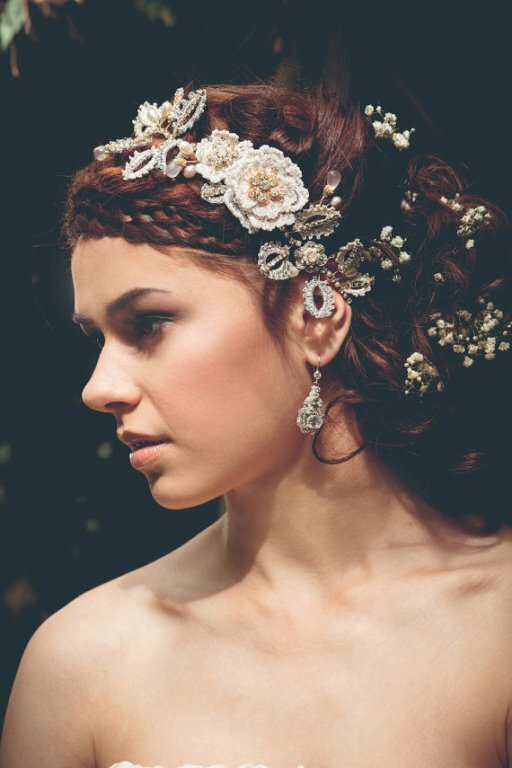 Perfect for an edgy bride who loves her metals and would totally wear a leather jacket on her wedding day, paired with a vintage boho lace dress, this impactful hairpiece is definitely outside the box, yet unique and captivating. This hairpiece statement finds its inspiration in the 1930s, when the flapper style had its peak. 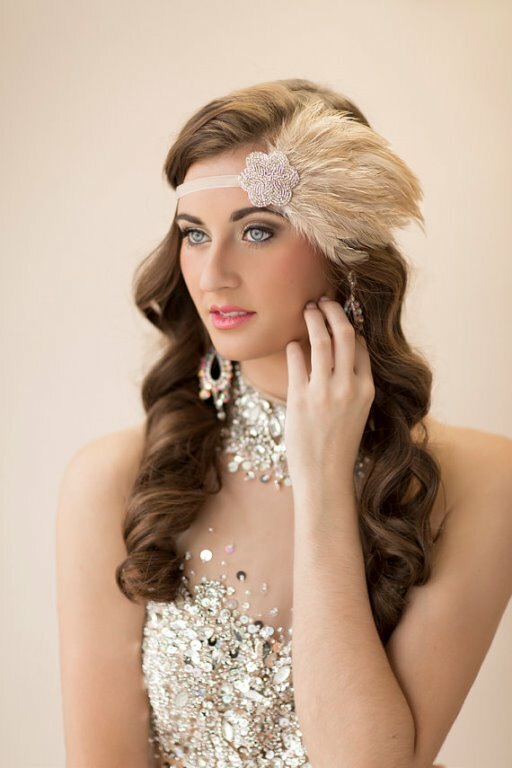 Featuring bright rhinestones and Art Deco elements, it can work well if paired with a vintage-style wedding dress. The infinity symbol is a popular element presented in the design of engagement rings, wedding bands and even wedding hair accessories – check out this intricate creation that symbolizes eternal love! A very sophisticated choice for sophisticated brides – this birdcage veil is carefully handmade from ivory soft tulle and lace, perfect for a ladylike look. 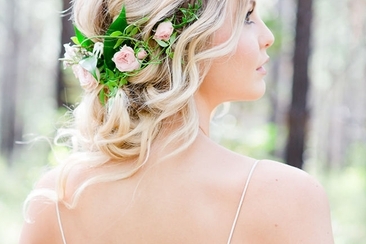 Made from silky organza, this rose flower crown is ideal for a wedding ceremony with a bohemian vibe. 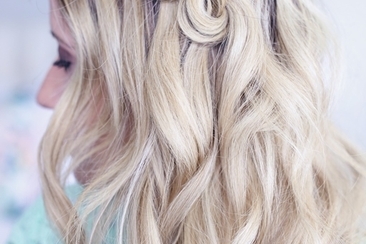 Pair it with loose wavy hair or even a messy do for that effortless chic look. 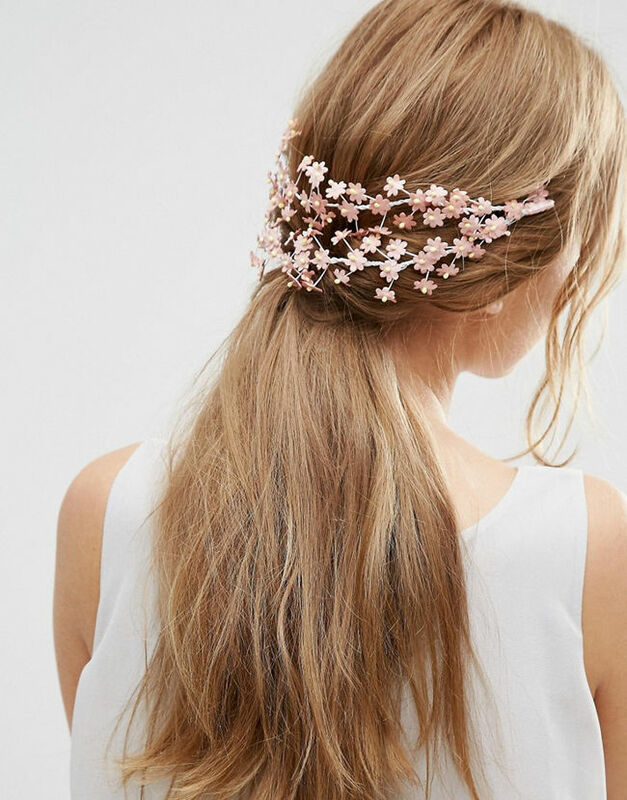 Pastel pink, delicate, tiny and yet full of charm – if that’s how you would describe yourself, then what can be better than this softly colored hair garland for your big day? 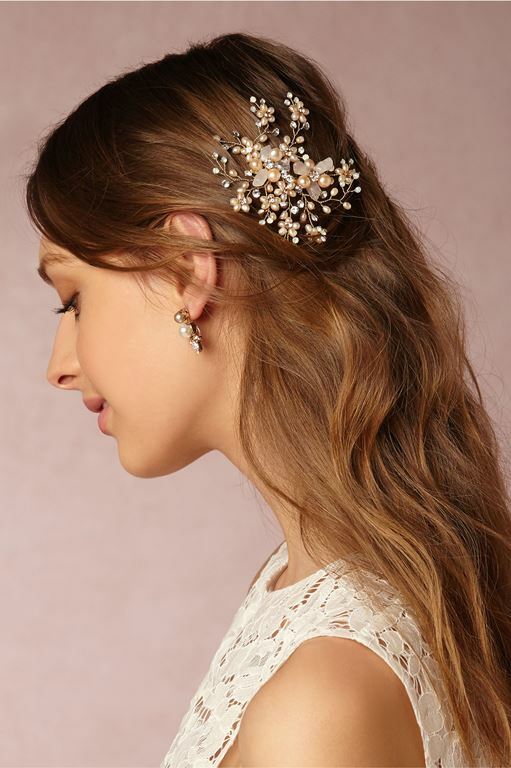 When it comes to wedding hair accessories, different types serve different purposes – some enhance beachy waves, some elevate the look of polished curls and others are perfect for updos – this piece right here is from the latter category. 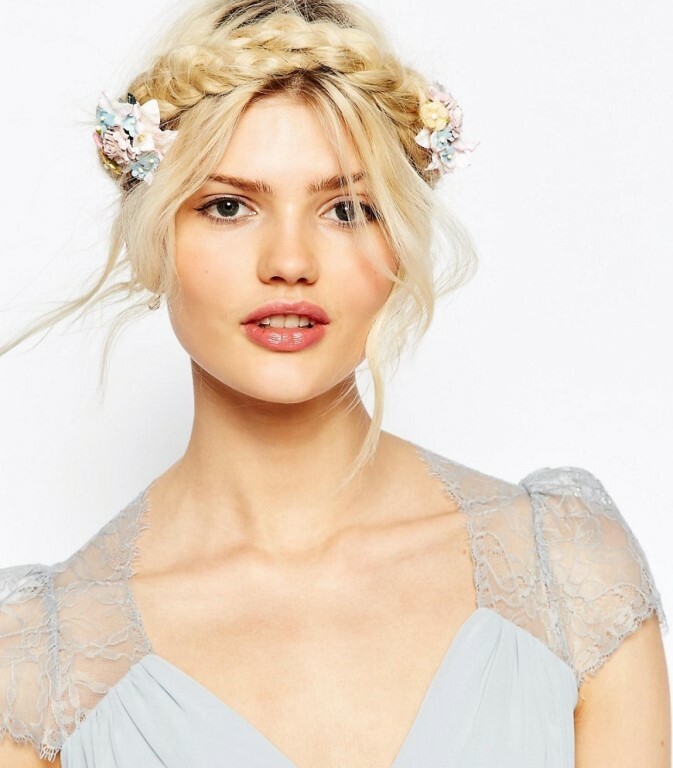 Made of beaded lace, crystals and lace flowers, it will upgrade your updo and give it that ‘wow’ factor. 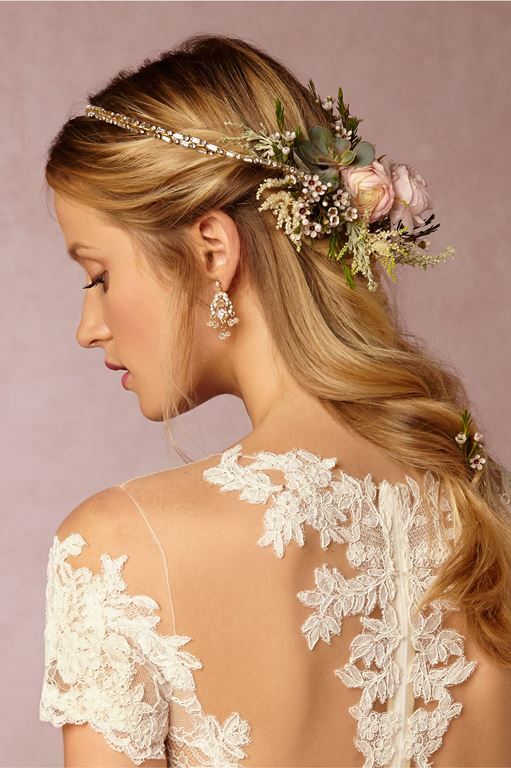 From polished buns to messy braids and bohemian waves, our list of wedding hairstyles for long hair has lots of options perfect for your big day. Check now for inspirations! 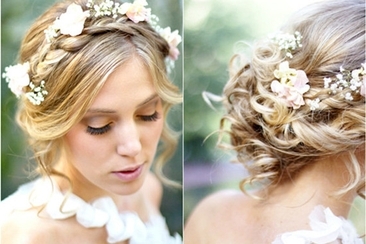 Have a look at these 20 wedding hairstyles with flowers, which will get you daydreaming of your highly anticipated special day. Which one suits your style best? 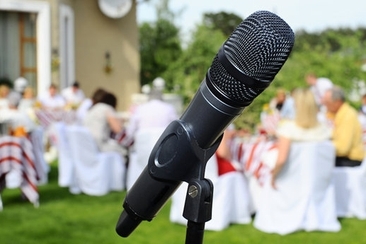 A How-to Guide on who gives speeches at weddings and how to give great wedding speeches. If you are struggling with the wedding speeches, we’ve got you covered. 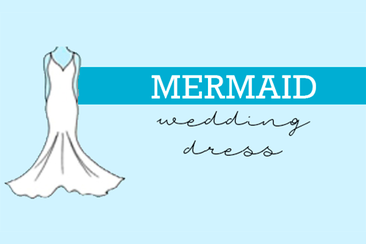 All Your Questions About Mermaid Wedding Dresses: Why Choose It? How to Shop for It? With Sleeves or Without? We Have the Answers. And Here Are Also Some Tips to Find the Perfect Dress.